Welcome! 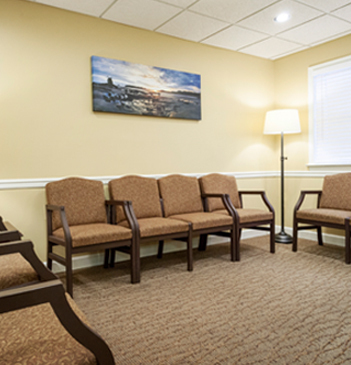 Here’s what you can expect as a new patient with our practice. Learn how good oral health can contribute to your OVERALL health and well-being. Regular oral hygiene visits are an important part of maintaining your healthy smile. When you care enough to put the needs and comfort of your patients first, good things are bound to follow. 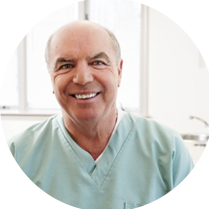 At Barksdale Dental, we are committed to this singular approach in all that we do. By delivering the very highest quality care and service in a friendly, approachable way, we let our patients know how much we value them and the trust they place in us. The staff at Barksdale Dental is wonderful. It’s like a friendly, neighborhood dentist with lots of personal service. I talk with the hygienist about our families and she does a great job giving me personal attention. It’s always a great experience. Imagine that at a dentist office! I highly recommend. 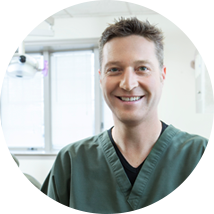 A few years ago I switched to Barksdale Dental, and it’s really been one of the best changes I’ve made regarding my health. I live in Wilmington, but I’m willing to travel to Newark for my care. As always, I was greeted right away in a friendly fashion. My appointment was timed perfectly. Dr. Bent is friendly and asks questions and actually listens to you—unlike a lot of medical professionals caregivers. Can’t say enough good things about this whole practice! It was good to see everyone today—one big happy family! My hygienist did a good job cleaning and caring for my teeth as usual. Glad that all is well and that my major dental problems have been resolved and are in the past. You all do such an amazing job! I have been coming to Barksdale Dental for a year now and everyone is very professional. They really care about you. I feel very at ease from the moment I walk in the door…I recommend this office to all my friends and family. 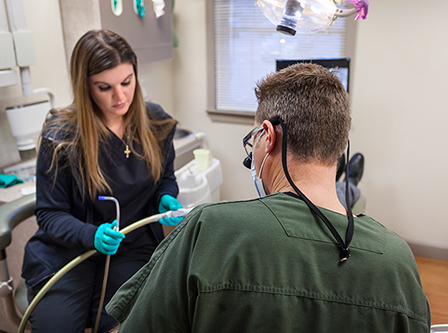 As a team, all of us at Barksdale Dental are committed to putting the needs and comfort of our patients first. We pride ourselves on taking excellent care of you and your family in a friendly, professional manner. Serving Newark, Glasgow, Bear, Wilmington, Landenberg, Elkton.